I only recently was introduced to the New Zealand based skincare company; Tailor Skincare, through their beautiful face masque (review here). 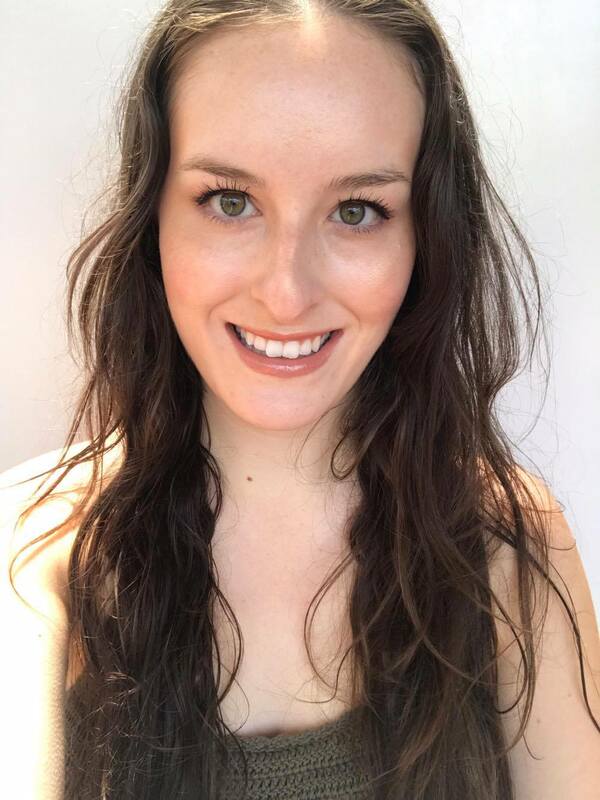 I was recently sent their oil cleanser and wanted to share my thoughts below. 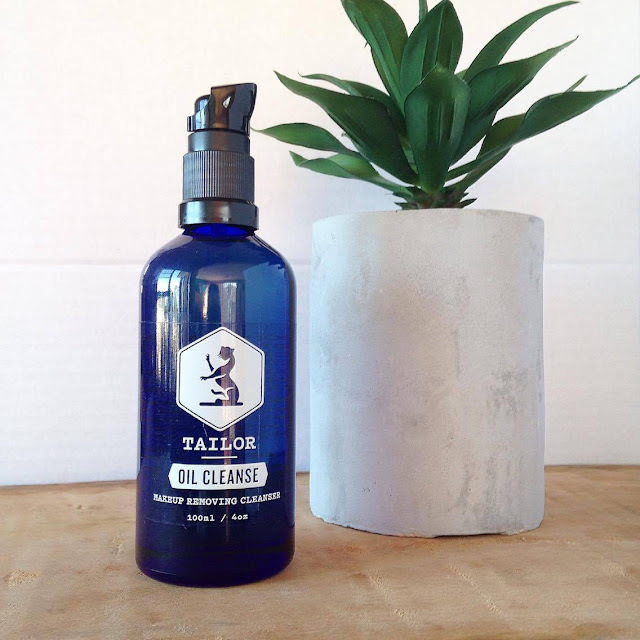 Tailor's Oil Cleanser comes in their iconic blue glass packaging with Tailor label. The packaging of this brand is so gorgeous and deserves to be displayed proudly front and centre of your bathroom cabinet. 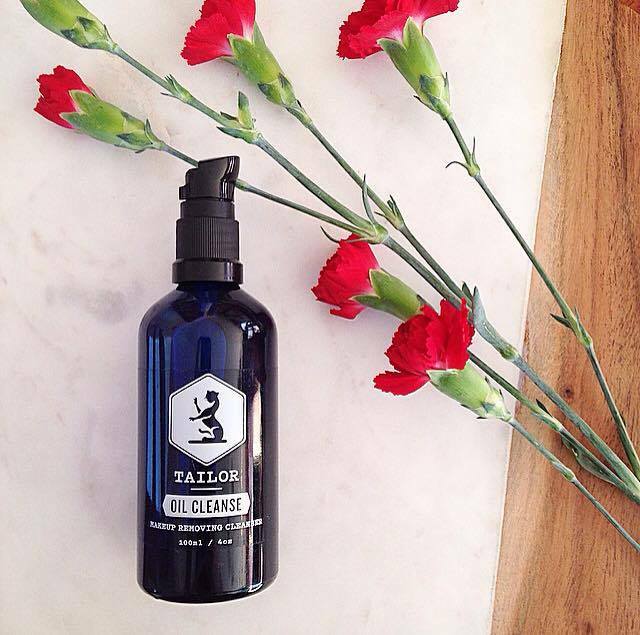 This oil cleanser, along with all other Tailor products, is cruelty free and vegan (with the exception of beeswax in their Balm). What I really appreciate about Tailor is that their ingredient lists aren't excessively long. This cleanser has a relatively short ingredient list and only includes ingredients that are really needed and beneficial. Organic Sunflower Seed Oil is the first ingredient listed. Sunflower Seed Oil is high in vitamins A, B, D & E, minerals, lecithin and unsaturated fatty acids. It’s deeply nourishing and conditioning for the skin and is highly recommended for treating dry, weathered, aged and damaged skin. The second ingredient is Hazelnut Oil; an oil rich in vitamin E and powerful antioxidant content. Hazelnut oil helps to tone, tighten and maintain skin elasticity while protecting the skin from free radical damage. Organic Coconut Oil is the next ingredient listed. Coconut Oil is ultra moisturising with gentle anti bacterial properties. Tailor's Oil Cleanser also contains Kanuka Essential Oil. Kanuka oil is also known as White Tea Tree oil. Kanuka is used in traditional Maori medicine for relief of inflammation and skin diseases, and is known for its anti bacterial, anti fungal and anti inflammatory properties. Use this oil to reduce acne, rashes and eczema. Full Ingredients: Helianthus Annus (sunflower seed) oil, Corylus Avellana (NZ hazelnut) oil, Cocos Nucifera (organic coconut) oil, Tocopherol (natural vitamin E), Kunzea Ericoides (NZ kanuka) essential oil and Rosmarinus Officinalis (rosemary flower) extract. One of the things I like most about this cleanser is its versatility. As it contains no surfactant ingredients, and is just a collection of beautiful oils, it can also be used as a facial oil. Only a few drops are needed for your entire face, and it applies beautifully on damp skin. Tailor Skincare also recommend using it for speeding up the healing of fresh tattoos. My favourite way of using this cleanser is as a first step cleanser to remove makeup and grime from the day, following up with a cream or foaming cleanser afterwards. I simply use a pump or two on dry skin and massage into my face. It breaks down all my makeup, including waterproof mascara and long-lasting lipstick. I then follow with my regular cleanser to remove excess oil and give my skin a good cleanse. If you prefer, the oil cleanser can instead be removed with a warm, damp facecloth. This is such a great cleanser. I find that oil based cleanser's such as this one are simply the best at removing makeup. They are also a great option in winter if you find that your cleanser is too drying and stripping. I also wanted to address the use of coconut oil in this product. I know that some people are cautious in their use of coconut oil as they fear it will cause breakouts. I personally do not breakout from most products containing coconut oil, and I haven't noticed any issues with this cleanser. I believe that even those sensitive to coconut oil may find this suitable as a cleanser as it does not remain on the skin for a length of time as a moisturiser does (it is a wash-off product). Overall, I really love this cleanser and all I have tried from Tailor Skincare so far. I would really recommend trying Tailor out (they do sample packs! ).